The Wigwam Motel #7 in Rialto, California surrounded by Teepees! No Wigwams Here in Kansas! Tee Pee Junction is located in North Lawrence, Kansas at the intersections of Highways 24 and 59 and was built by Frank W. Mc Donald in 1928 thus making it the oldest Tee Pee building concept of its kind. The complex at one time included a gas station, 14 cabins and a restaurant. 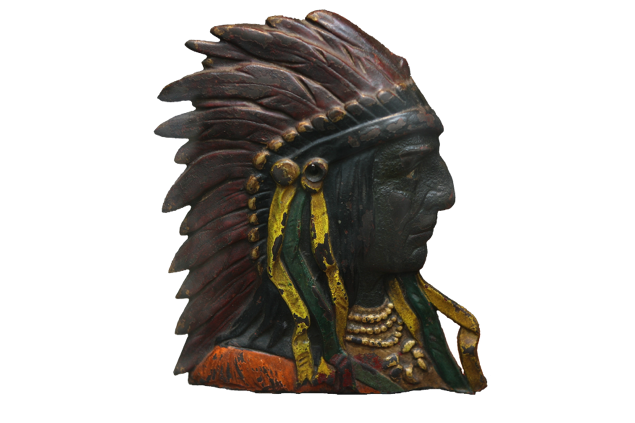 A planned Indian culture center however was never realized nor were other locations that Mc Donald had in mind. 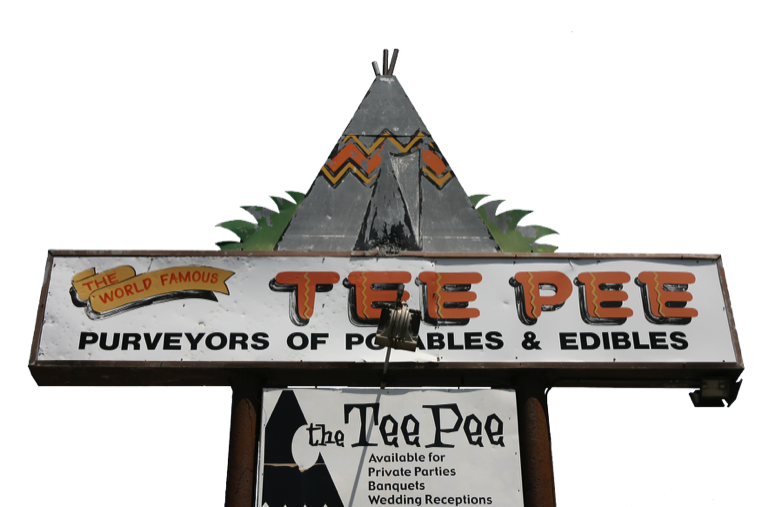 The large 50 foot tee pee built in 1928 originally had restrooms and a gas station office space located on the first level with living quarters on the second floor. The gas station operated until the 1970s. On two occasions the complex suffered major damage during floods. Once in 1935 and again in 1951. The large Tee Pee has high watermark lines painted on it to show how much of the area was flooded. 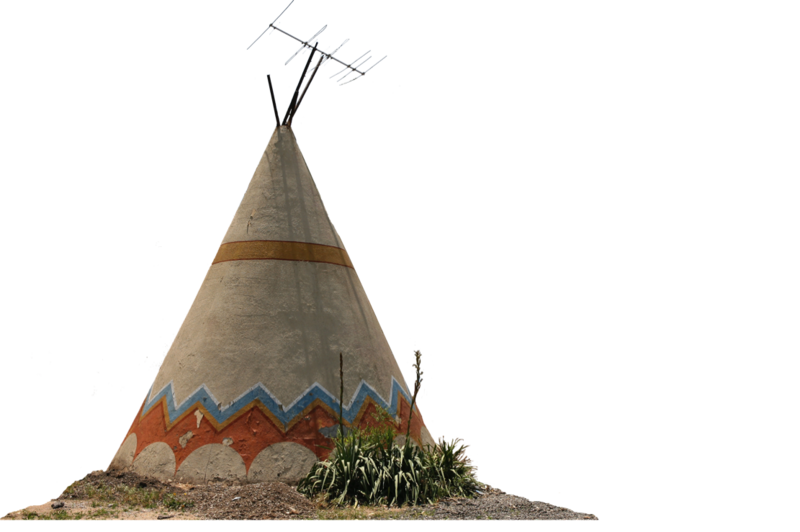 Recently the complex has been undergoing restoration with the largest Tee Pee having been completed and the two older survivors waiting patiently beside the side of the highway. This 50 foot cement Tee Pee in Lawrence Kansas is said to be the world’s tallest! 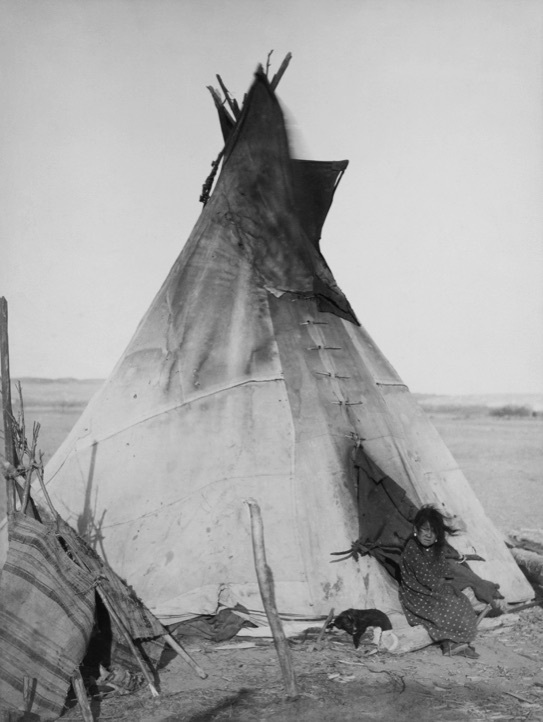 When is a Teepee not at Teepee? When it's a Wigwam... It seems that some people don't know the difference or they have disregarded the definitions on the grounds that they are two tents... Perhaps they don't want to confuse the public and wish to only ownand run a distinctively different Motel from one down the road. 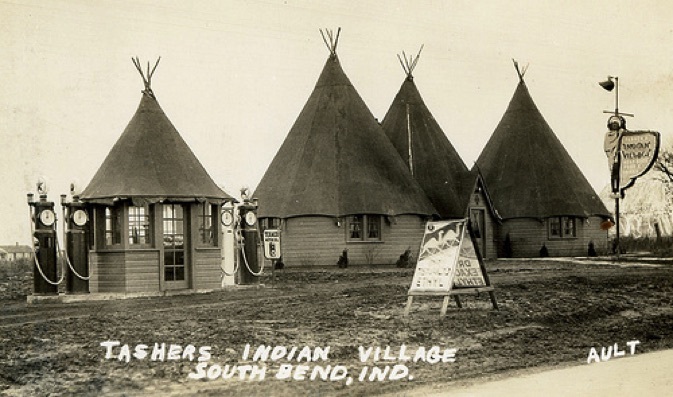 Many years ago the tee pee (Tipi) and wigwam motels were a fairly common site along America's highways. Lets be Frank, in fact two Frank's. Frank W. Mc Donald of Tee Pee Junction in Lawrence, Kansas is credited with inventing the Tee Pee motel concept. And inspired in the 1930s by a Teepee shaped restaurant in Long Beach, California, Frank Redford patented the Wigwam motif an eventually built a chain of 7 motels some along world famous route 66. Sadly today only 3 remain. These types of theme motels offered a unique and novel form of roadside shelter and were always a big hit with the kids. Now the few examples that remain are once again gaining popularity as novel and nostalgic sentinels of highways that have given over to and have been bypassed by our modern super interstate freeway system. This new interstate landscape is littered with nondescript generic wood frame hotels, motels and Inns that disallow your imagination to be engaged with your room for the night. 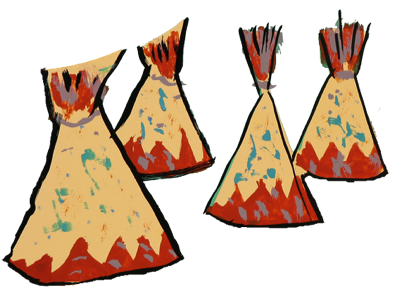 But thinking about tee pees and wigwams too much will no doubt make you two tense as well!